The student activists behind this weekend’s planned Phoenix march for gun reform are continuing to call on Gov. Doug Ducey to meet with them, even offering him a speaker’s slot at the rally. The teens, who held a sit-in at Ducey’s office last week, accused him at a news conference Wednesday at the state Capitol of dodging their attempts to have a dialogue. Gov. Doug Ducey on Tuesday announced a plan he says would “reverse Recession-era cuts” to Arizona school funding. The governor made the announcement with more than 50 education officials from across the state. In a news release, he detailed a budget proposal that would include $100 million next fiscal year that schools could use for infrastructure or other needs. He also included $34 million for the second half of a phased-in 2 percent raise he’d promised teachers last year. In his State of the State address and budget proposal, Gov. Doug Ducey suggested more than a dozen steps he wants Arizona to take to improve its education system. The Governor’s Office and Republican legislative leadership are hashing out some of those ideas in closed-door budget negotiations. Other ideas were introduced as bills and are advancing through the legislative process. Here is where the proposals stand now, along with contact information for legislative leaders. Gov. Doug Ducey sounded an optimistic call to expand opportunity to all in his State of the State address Monday, asking the Arizona Legislature to join him in giving public-school teachers a raise, expanding all-day kindergarten in low-income areas, and adopting other policies he said will help poor Arizonans. The Republican governor, who is halfway through his first term, did not identify funding sources for his many proposals but reiterated his vow to not raise taxes. Additional state money could be found through government reforms, he said. He is scheduled to release his budget on Friday. A panel Gov. 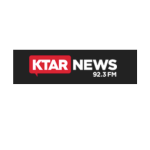 Doug Ducey charged with examining ways to improve and simplify public education financing issued a report (Dec. 14) that recommends a complete overhaul of K-12 school funding in Arizona while issuing pointed remarks that current state funding is inadequate. The reports contains 12 major recommendations from the Classrooms First Initiative Council, starting with replacing the current K-12 school funding method with a single simplified formula for all public schools and allocating funds using a lump-sum formula. The council also recommends consolidating property tax rates and reducing reliance on property tax overrides. But the governor proposed no new funding. “We’re thrilled to set this goal,” Ducey told reporters afterwards, suggesting the question of money is premature. 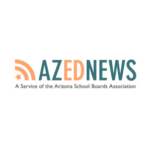 For 35 years, Arizona has stretched its public-school funding formula to fit expanding school-choice options, from open-district boundaries and charter schools to online programs and empowerment scholarship accounts. The formula has reached its breaking point. Now, state leaders are working on ways to remake the funding system so it fits the state’s current education menu. And it’s going to be a fight. School administrators, advocacy groups and concerned residents have submitted nearly a dozen proposals to Gov. Doug Ducey’s Classrooms First Initiative Council. More than 30,000 Arizona children from low-income families will be eligible for health insurance after a lightning-quick revival of KidsCare, which appeared all but dead earlier this week. Gov. Doug Ducey signed the bill reinstating the program Friday, hours after Senate President Andy Biggs dropped his resistance to bringing the bill up for a vote.